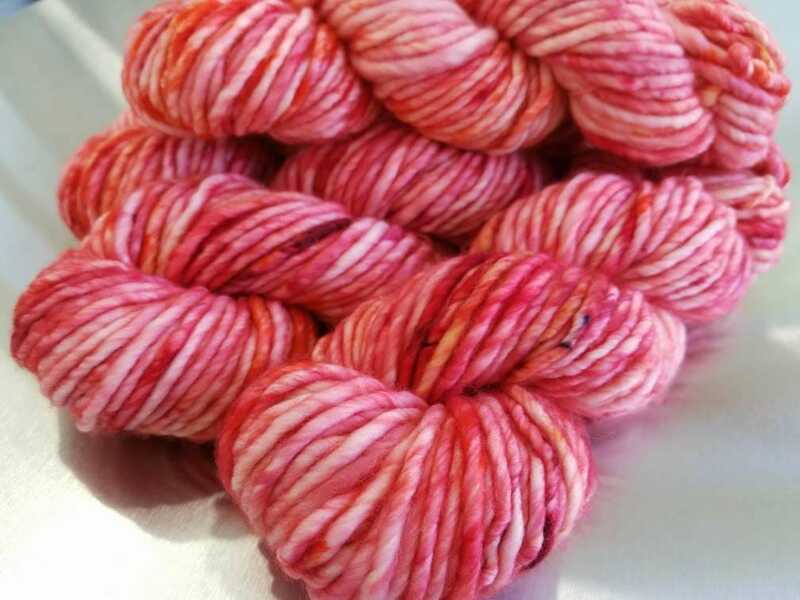 Hand dyed yarn for your most beautiful knitting and crocheting projects. 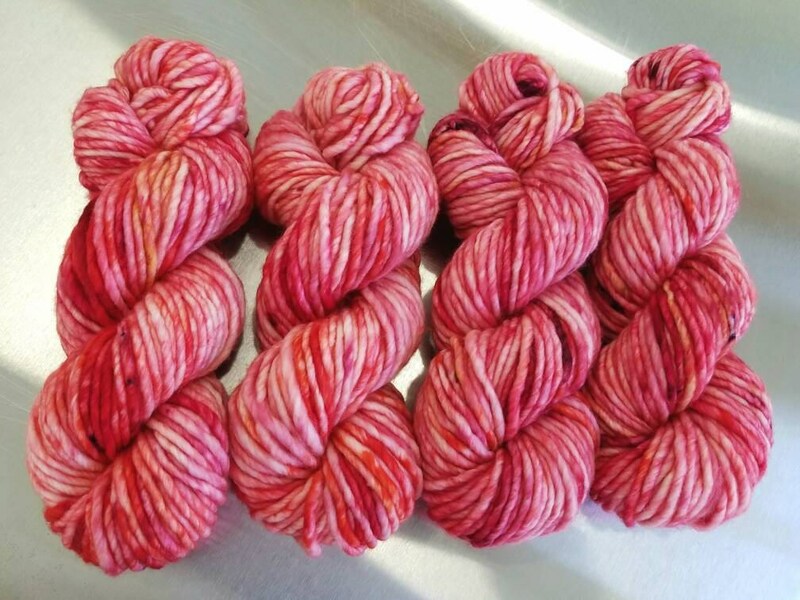 This speckled and spatter painted yarn will give your creations a unique, splashy overall look. This yarn is a one-run, nonrepeatable color. It is a combination of reds, oranges, and some cream. 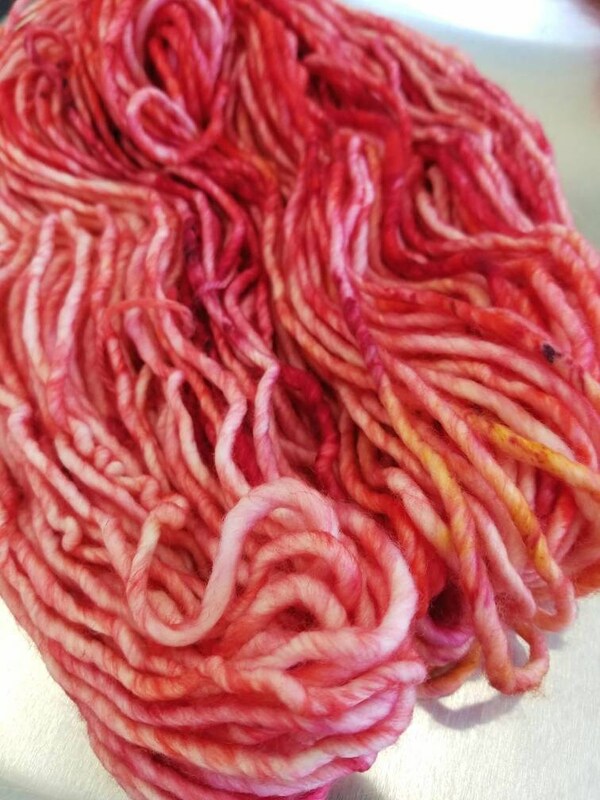 Every skein is unique and will marl in their own way - enjoy! This yarn base is squishy and soft, and will be best suited by hand washing and laying flat to dry. Single-ply yarns can develop a fuzzy halo over time, and machine washing can accelerate this process.